Is there a better alternative to Gemini? Is Gemini really the best app in Backup category? Will Gemini work good on macOS 10.13.4? Gemini is a utility for file copying, backup and folder synchronization. 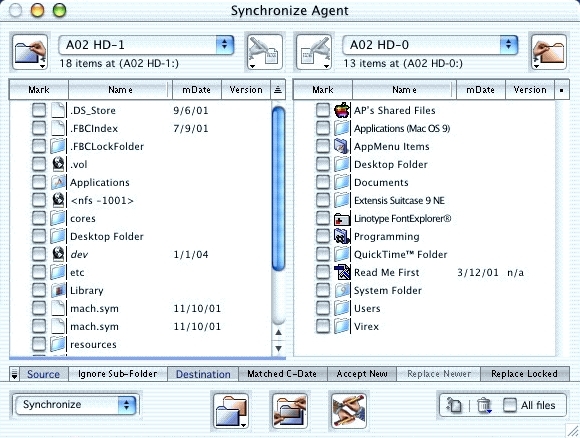 It lets you synchronize two folders or disks by a few clicks. You may override default to control in more flexibility way for file transfer instead of copying everything inside folder or disk. When entered Virtual Synchronize Mode, you can monitor your folders' difference before any changes. Show folder size speeded up yet number of items contained will not being shown. The time used for Preparing copy (items count) before copying process started has been reduced 10% to 40% depends on source folder size. Mac OS 9 or later, CarbonLib. Gemini needs a rating. Be the first to rate this app and get the discussion started! In Mirror mode, unmatched items will be removed during copying process. When there are excluded sub-folder in source (by using name filter) the matched sub-folder's content in destination should be also exclusive of removal. Icon color incorrectly displayed inside File information.